Excerpt from an Interview conducted by Gerard Raulet in 1983 and published as "Structuralism and Post-Structuralism: An Interview with Michel Foucault," in Telos 55 (Spring 1983), 7, 95-217, reproduced in Kritzman (1990: 17-47). 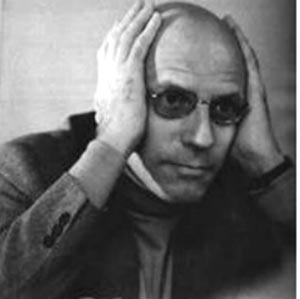 FOUCAULT: ...Now, the striking thing is that France knew absolutely nothing - or only vaguely, only very indirectly - about the current of Weberian thought. Critical Theory was hardly known in France and the Frankfurt School was practically unheard of. This, by the way, raises a minor historical problem which fascinates me and which I have not been able to resolve at all. It is common knowledge that many representatives of the Frankfurt School came to Paris in 1935, seeking refuge, and left very hastily, sickened presumably - some even said as much - but saddened anyhow not to have found more of an echo. Then came 1940, but they had already left for England and the U.S., where they were actually much better received. The understanding that might have been established between the Frankfurt School and French philosophical thought - by way of the history of science and therefore the question of the history of rationality - never occurred. And when I was a student, I can assure you that I never once heard the name ofthe Frankfurt School mentioned by any of my professors. GERARD RAULET. It is really quite astonishing. FOUCAULT: Now, obviously, if I had been familiar with the Frankfurt School, if I had been aware of it at the time, I would not have said a number of stupid things that I did say and I would have avoided many of the detours which I made while trying to pursue my own humble path - when, meanwhile, avenues had been opened up by the Frankfurt School. It is a strange case of non-penetration between two very similar types of thinking which is explained, perhaps, by that very similarity. Nothing hides the fact of a problem in common better than two similar ways of approaching it. Kritzman, L. D. (1990) Foucault, Michel. Politics, philosophy, culture: Interviews and Other Writings 1977-1984. London: Routledge.